Olympic fever is spreading fast through kid's activity blogs and we are super excited to participate in the Kid Bloggers Go Olympics. We have been watching the London Olympics 2012 and we are excited to root for Team USA. We even have a girl from my hometown competing in the London Olympics. We are also participating in Kid Bloggers Go Olympics and we are excited to receive the torch from Jamie at Hands on as We Grow who wrote a great post on winning and losing yesterday! We are teaming up with Reading Confetti to cover Olympic medals today. My kids actually have a good handle on medals. They attended a sports camp last week and were awarded with a medal for participation. My four year old has told me a million times, "I EARNED this medal at sports camp." We decided to have some fun with Olympic medals and also work on earning medals in our family. 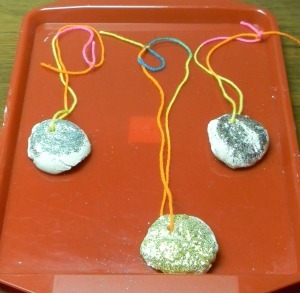 To introduce the idea of gold, silver, and bronze medals, we made salt dough medals. 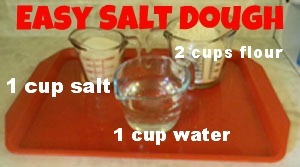 Our recipe for salt dough is just 1 cup salt, 2 cups flour, and 1 cup lukewarm water. I divided it into 6 small balls.I also set out 3 small cups of glitter (gold, silver, and multi-color-- I didn't have bronze!). 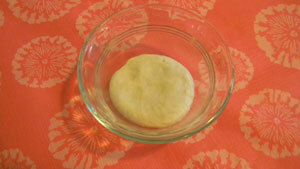 Then we smashed the salt dough balls into the glitter cups, turned out, and they made nicely shaped medals. I poked a straw into each one to make a hole for threading string. It's crazy hot here, so we just set them outside to dry! 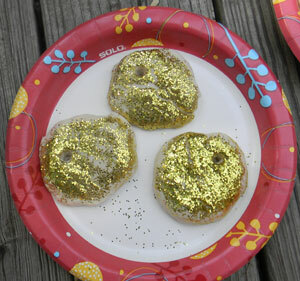 I wasn't sure about baking the glitter. They were dry after about 10 hours in the sun. The glitter is flaking off a little so I am going to look for a clear coat to paint over the glitter. I don't enjoy glitter all over my house. After we made our medals, we talked about the hard work it takes to EARN a medal. Olympians have to set goals and work hard to be their best..
We used a hundreds chart to record the kind things we are saying to our family. Each time we hear someone say a kind word, we mark that person's hundred chart. The first week, we are awarding bronze medals. The next week, we are going to set a goal to say MORE kind words. As long as the boys make progress, we will award with silver and bronze medals. 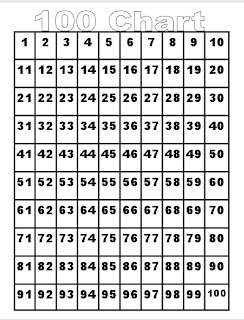 I made a simple hundreds chart you can print for free. (Click on the image to download). 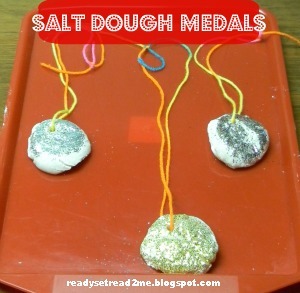 The salt dough medals were a fun Olympic craft, but it was a messy craft. 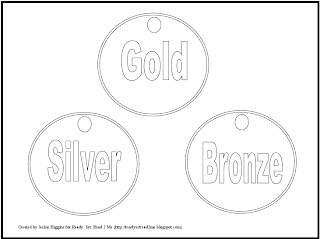 I also created these free printable olympics medals. You can use them in your home for rewards or just print out as a free printable coloring sheet. Don't forget to stop by Reading Confetti today for her medals post. We are passing the torch to Inspiration Laboratories who will have a post on Respect tomorrow! I can't wait to see what she has to share and how I can incorporate it into our earning medals activity. Kid Bloggers Go Olympics will run until August 12th. There are 75+ activities that have been linked up to the blog hop.Feel free to link your Olympic themed posts or to check out more fun Olympic ideas below. I love this idea!! The Kind words using the hundreds chart is genius! And your medals came out awesome with the glitter!! !